Born and raised in Nashville, Tennessee, Kathleen Maxwell says you can call her a “unicorn” in today’s melting pot of Nashville residents who have moved from various places to call Music City home. Bearing the Maxwell family name, Kathleen’s journey to working for the family business was not one she was planning. After graduating from the University of Tennessee in Knoxville with a major in English (Creative Writing concentration) and a minor in Marketing, Kathleen originally had plans to enter the event planning industry. However, after considering the field and being offered several unpaid internships, she realized she needed money, and she needed it quick. She explains, “Many friends kept telling me I should work for Maxwell Roofing, and why not, right? So, after a conversation with my dad about what that would look like, I joined the Maxwell Roofing team as a marketing associate.” At the time, Kathleen had no intentions of making a career at Maxwell Roofing, but rather using it as a stepping stone. Fast forward five years later, she has no other plans but to stay put and grow in her role. “I realized how severely underserved the roofing industry is, and I believe that our company is built on a great foundation and that we can consistently position ourselves as a value leader in the service and sales markets of the roofing industry,” affirms Kathleen. In her current role as Vice President of Sales, an average day on the job for Kathleen can look very different from day to day. She explains, “Our company is focused on strategic growth and pointing our team toward success. No day is the same, but that’s what makes it exciting.” From yearly marketing planning to creating and implementing sales strategies, Kathleen stays busy keeping things moving along and being a solutions provider. Among her favorite parts of her role include coaching, motivating, and supporting the Maxwell Roofing sales team. Kathleen also enjoys meeting with clients and prospects and learning about their business needs and any issues they may be experiencing that the Maxwell team can solve. Kathleen and her team work on a daily basis with property managers, facility managers, industrial and corporate owners, as well as private owners. 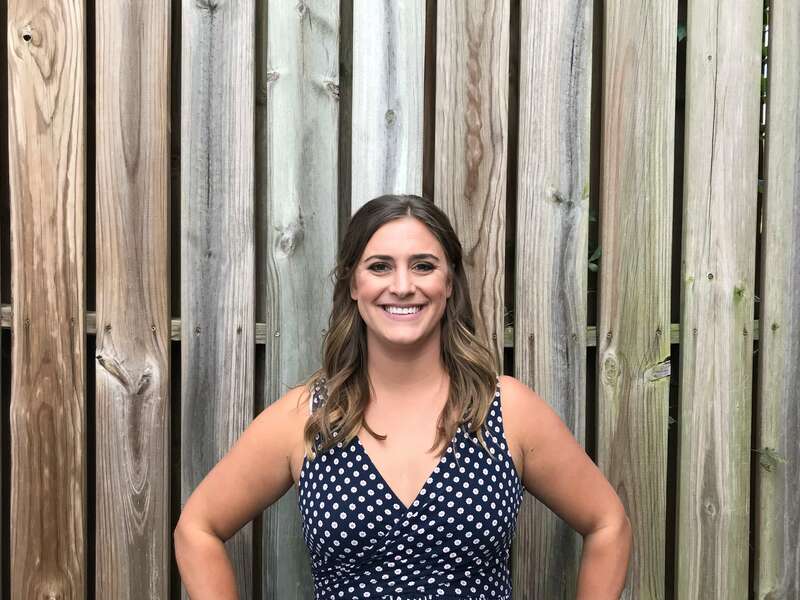 As leader of the sales team, Kathleen oversees two account managers and four estimators, and she’s excited about growing and expanding the team. “Our sales team is close-knit and works together with the service and construction divisions. In a healthy way, our sales team relies on our operations to deliver the service we stand behind, and operations relies on sales to contribute and deliver the work to be done! I think it’s a great, communicative relationship that requires a careful balance,” says Kathleen. When asked what she loves about the company as a whole, Kathleen says, “Well, I’m slightly biased, considering my grandfather started the company, but I’d say first that, contrary to my initial naive belief, our roofing company requires the same passion, drive, and goals as any other business, and what we do truly matters.” Kathleen also loves that the individuals who make up the company believe this and stand behind it. Something else that stands about Maxwell Roofing to Kathleen is that her team is eager to learn and is open to change and growth. “My team is focused on crushing their goals—both business and personal—and I’m truly grateful for the positive attitudes they bear daily,” she adds. With a competitive, hungry, and smart team culture, Kathleen praises her team’s diverse skills in relationship management and roofing expertise, which she has observed to be continually growing with time. “Our goal is to make your roof last longer. By forming partnerships with our customers, we learn about their facilities, roofing needs, and future plans. If we truly understand our client’s needs, it positions us to better assist them in proactively managing their assets, rather than any last-minute major repairs,” says Kathleen. The youngest of four siblings, Kathleen serves at Maxwell Roofing alongside her brother, David, who joined the Maxwell team about 9 months prior and is the oldest sibling. Kathleen and David have two sisters between them—Sarah and Rachel—who are not in the family business. Kathleen’s parents, John and Betty Ann live in West Nashville, and they enjoy having Sunday dinners to gather and catch up on life outside of work. Kathleen is also the proud aunt of two adorable nephews (David’s sons), Henry (age 3) and Gilbert (age 2), who she says keeps her on toes.